We custom tailor our software for your needs. right through to everyday operation. We follow the trends, so together we can attain the heights. Contact us and join us at the top! users around the globe are working with our software. We can connect your isolated systems. With us, you can do it. We’re an Atlassian Gold Partner. We’ll dedicate a special development team to your project. Long-term collaboration gives you continued development and mutual benefit. Entrust your long-term vision to us. Together, we’ll think up an enterprise solution. We create software that precisely suits your needs. Without compromises and on time. We can interconnect your individual information systems. Let us teach them how to work efficiently. Our latest product is the XEVOQ reservation application and the quality control application industrial.VISION. We have a common goal: to provide you with the optimum solution. Detailed knowledge of your requirements will allow us to set the right objective and define the benefits of the new project. To make sure everything works together as it should, we prepare a system architecture proposal. We’ll know which components, modules, and platforms will bring the planned results. We know that quality product management is a necessary precondition for success in business, and that includes software development. Our product management team is looking forward to your project. Together, we’ve found the only right path to successfully completing our work. Our developers start the coffee brewing, fire up their machines and brains, and get down to work. The software we develop has to be tested out both alone and in collaboration with other systems. We torture hundreds of applications at a time in our testing labs. We don’t stop working with you just because you’ve taken possession of the software. We’ll take the greatest possible care in looking after your application throughout its lifetime, including supplying the right SW and HW infrastructure. We have a common objective. To start with, we have to seek out and set the right project objective and define its benefits. Without precise knowledge of your requirements, that can’t be done. And we dig deep. We start by documenting existing processes and the way information systems are currently used, to orient project goals in the right direction. Expert analysis will help you make a qualified decision on further project development. In seeking out the optimal path to improve your business, we use systems analysis. The result is a model of the application logic and the project to allow the prototyping of a software user interface. Successfully implementing a system greatly depends upon the condition of your IT infrastructure. We’ll analyse and test your existing infrastructure to determine how to meet your goals without negatively impacting the operation of your other systems. Designing the system architecture is ordinarily based on a systems analysis, and expands upon the models that have been prepared. The system design output consists of a model of the physical class, a physical data model, and modules and system components or the design of a platform for information systems..
A prototype is an exceptional tool for presenting selected parts of the system we develop for you. A prototype allows you to get an idea how key parts of the system will look and function. 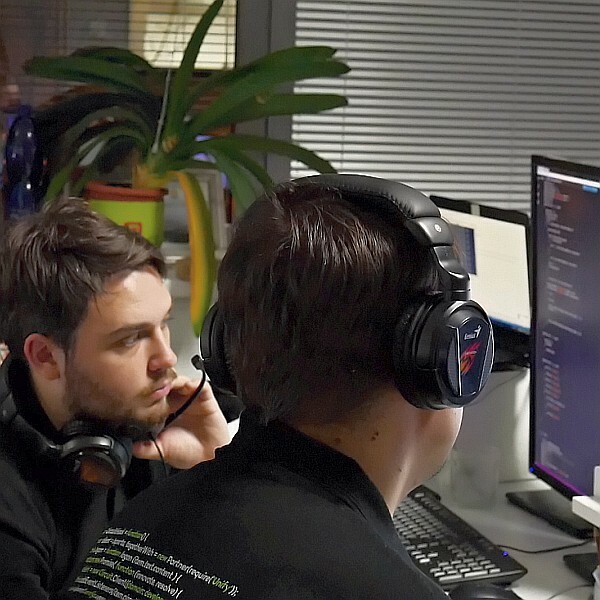 Our team of coders and experienced UX–UI designers always works together on your order. Only by combining quality code, the right application logic (UX) and a user-friendly interface does a functional, sensible, and aesthetically balanced application or website come into being. Web analytics are capable of measuring, monitoring, and evaluating data and data trends and optimizing websites. On the basis of analysis results, our analytics propose ongoing changes to webpages that will make sure your website is effective and meets your objectives. A quality marketing strategy for a software product is a fundamental part of business success in the highly competitive software market. We’ll prepare a marketing strategy proposal for you, from expectation scenarios and a specification of competitive advantages to concrete marketing plans. A fundamental objective of websites is to attract a large number of visitors in the target groups. We provide a team of specialists in search engine optimization (SEO) to support your website and offer optimal marketing and advertising support. You can’t even imagine how much help we get all around us from embedded applications and systems. Consumer industry, automotive, medical, commercial, and military systems make massive use of them for process management and controlling complex devices. For years, we have been developing and supplying embedded systems and the hardware that supports them. Contemporary communications tools will give your business a substantial edge and bring you increased flexibility, efficiency, and greater potential for collaboration. Our software solutions for business communication offer a unified platform for voice and video conferencing, web-based collaboration, contact centre services, and product networking and services. Are you looking for ways to connect company applications and systems? The advantages are clear. We can design and implement a seamless flow of information and set up the tools you need to mine complex data. We’ll integrate the software we provide, as well. We develop mobile apps for all the major platforms. We’ll take care of your new app from the design stage through to its rollout to users. We build on a well thought-through user interface, precision graphics, and deep technical know-how. The quality control process for applications and their integration into the system ensures that the software and websites that have been developed, including their collaboration with other systems, will function flawlessly during their life cycle. In our testing labs, we run testing programmes for hundreds of applications concurrently. Before putting the software into routine operation, we perform thorough manual testing. A key advantage of manual testing is the verification it offers of user interface quality. Our experienced testers check the quality of the products we supply using complex testing scenarios. Automated testing using specialized tools is an efficient way to verify the quality of repeated tasks. We perform automated testing using the modern method of unit testing with the use of testing frameworks. For many years, we’ve operated our own multilingual helpdesk, available 24/7. We accept and make records of requests from agreed communication channels, from ordinary ‘human’ requests to automated announcements and requests directly from monitoring systems. We ensure smooth running of the solutions we supply via our application support system. We optimize application performance and do everything necessary for the application’s proper functioning. Remote monitoring and management allow us to flexibly operate your system. Applications require adequate system resources to run. 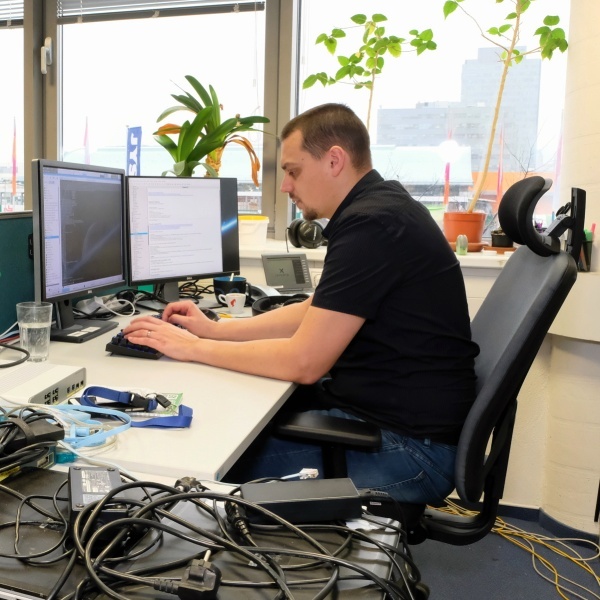 If you don’t want to avoid worries, we can offer hardware (production servers, backup servers and infrastructure) as well as software platforms at the operating system level, along with other system services and security patches with remote support. Operational requests concerning the solutions we provide are dealt with on a centralized basis irrespective of communication channel. Providing consolidated information in a single location helps us to maintain your application in good shape thanks to transparent, loss-free management. Set aside needless worry and trust us to oversee your applications and services. We’ll outsource the operation of applications, services, and infrastructure. We’ll do everything necessary to launch and operate your systems with guaranteed updating. We can also provide you with a professional server environment for both internet and extranet services. Our top-notch data centre—connected to the backbone network—meets the exacting demands of housing services. Stop investing in your own servers. We can also develop cloud applications for you, and that means it’s a sure thing that we also provide and operate platforms. Our Cloud Computing services will reduce your initial investment in launching the system, free you from maintaining it, and you won’t have to worry about stability, scalability, or many other costly services. We offer you comprehensive services. We’re ready to provide you with both applications and the hardware needed for the solution to run. We employ the products of renowned partners with a proven record and excellent service support to provide you with the best quality and reliability. We program systems for platforms working under high load in real time. We have abundant experience with VoIP. Not only encoding and decoding voice and video and facilitating conversations (SIP, HFA), but a lot more, and with ease. Child’s play for us, our telephones run on streamlined linux. We connect business applications, infrastructure, peripherals, communicators, and specific devices. The internet of things and advanced interfaces are our bread and butter. We’re experts in network protocols and take part in the development of the globally known tool Wireshark. As an Atlassian Gold Partner, we supply systems for optimizing company processes. To meet your individual needs, we can create custom plugins. Everyone's proud of their references, and that includes us. The communications software we've written is in use by more than 10 million people around the globe. Parts in your car are surely had to pass manufacturing quality checks managed by our software. Come visit our development offices to see how we work.